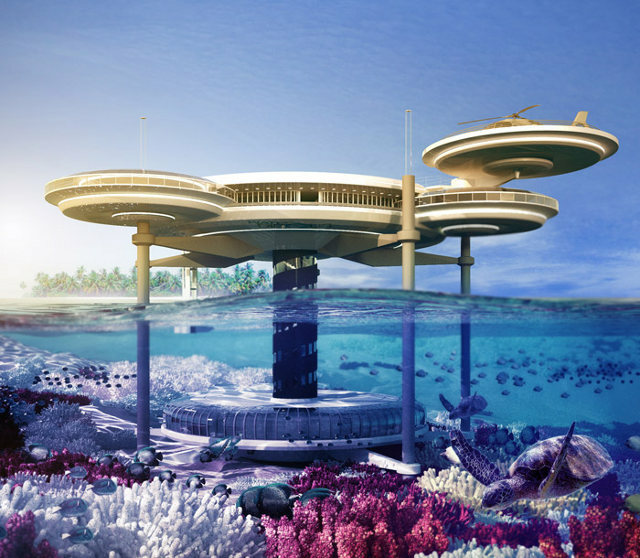 The Water Discus Underwater Hotel is a concept developed by Deep Ocean Technology. The project has garnered enough backing to move forward thanks to Swiss firm BIG InvestConsult and will be built soon in Dubai. The hotel is made up of two discs – a common area above water and the suites for guests below. 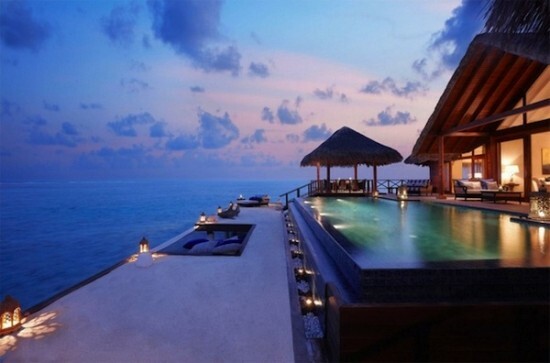 If this seems interesting, also check out this restaurant and this hotel in the Maldives. More photos after the break. The Alpine ski resort Flims is now allowing visitors to stay in an eco-friendly pod hotel designed by Robust Outdoor Brands. More photos after the break. The pods are built with only European wood, and without glue or chemicals. 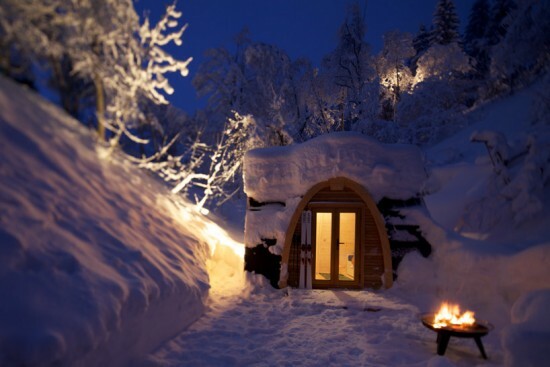 They can house two people, and are heated using electricity. Here are some photos of the Taj Exotica Resort located in the Maldives (a group of tiny coral islands just south of India in the Indian Ocean)… looks incredible. More photos below. via inhabitat. The Skipark 360° in Stockholm designed by C.F. Moller will be a “green” ski resort powered by renewable energy sources like geothermal, solar, wind, and hydropower. 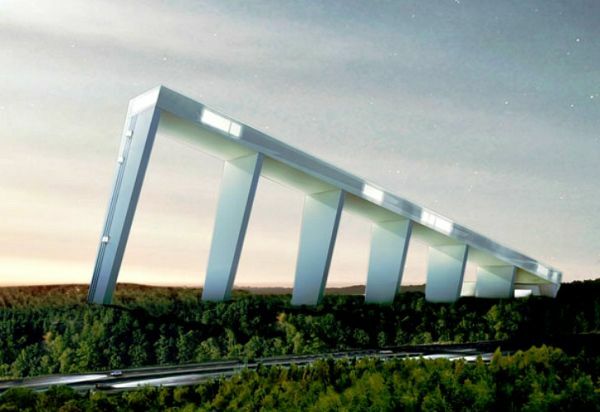 The man made ski hill will have a vertical drop of 160 meters (252 feet), a 3.5 km long skiing tunnel, an arena for ice hockey, figure skating, a snow park, a resort, and a spa. More pictures below. via gizmodo. The Northern Lights are one of the most fantastic displays of nature… now you can see them from a luxurious Igloo Resort located in Kakslauttanen, Finland. 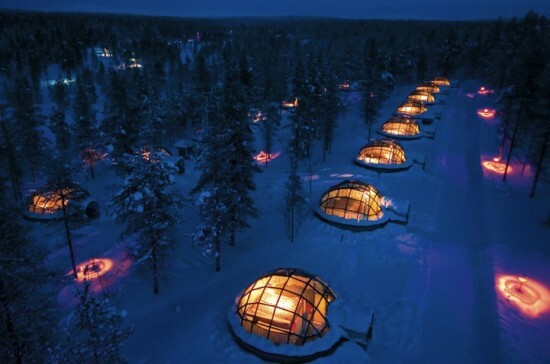 Each of these igloos has a roof made of thermal glass that stays clear even in sub-zero temperatures. Oh, and did I mention the resort also offers reindeer safaris? More photos after the break. Also, I’ve included a time-lapse video of the Northern Lights as well. via gizmag. 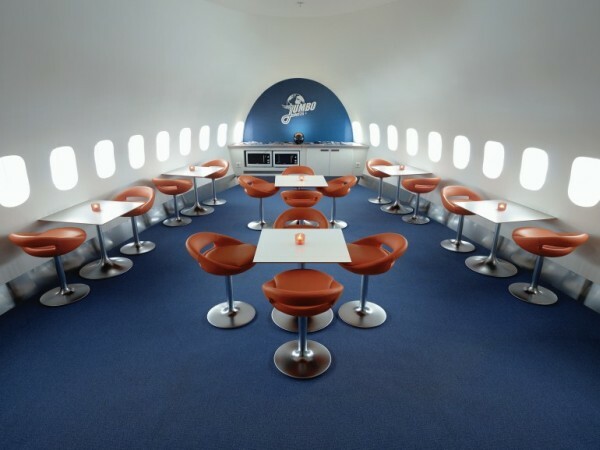 One of the Swedish airports converted a retired Boeing 747 Jumbo Jet into a hostel accommodation. You can stay at in the cockpit suite, go to the dormitory style rooms, or hang out in the private 1-2-3 rooms. Staying at the dorm costs $62 a night, while the cockpit suite would cost $515 a night. More photos after the break. Love to travel? I’m sure these photos will make you want to jump on a plane and head out on vacation! 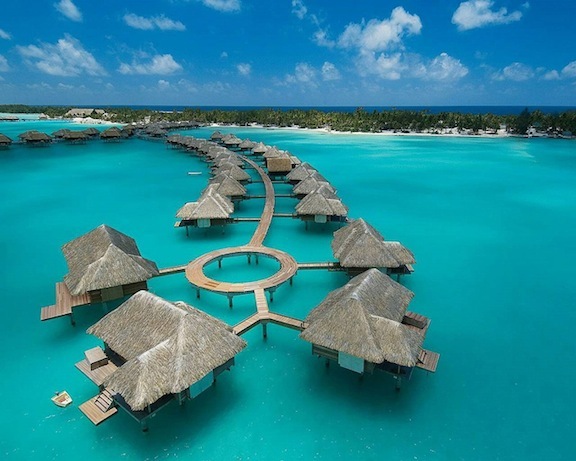 The Four Seasons at Bora Bora is not a bad place to start. More photos after the break. Dubai’s Burj Al-Arab is the world’s tallest building which is filled with every luxury imaginable… including a tennis court that is 650 feet above the ground, with an area of 4,500 square feet. 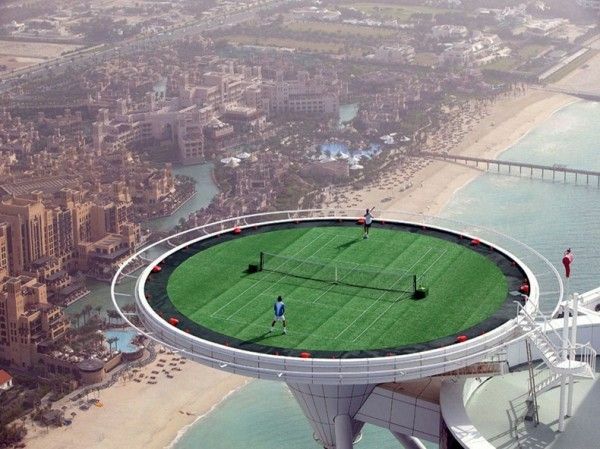 This is not exactly a permanent structure (seems kind of dangerous actually) – the area is the building’s grass helipad that was converted into a tennis court shortly to promote the Dubai Open back in 2005. More photos after the break. via blessthisstuff. Feeling a little adventurous? 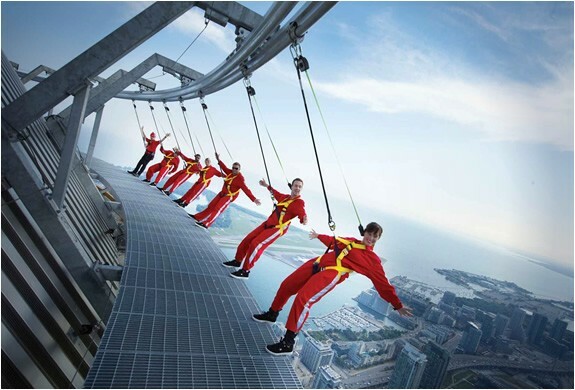 Now you can walk on the edge of Toronto’s CN Tower with the new attraction called EdgeWalk. Thrill seekers can walk along the edge of the building, 356m/1168ft (116 stories), above the ground. Visitors walk in a group of six attached to an overhead safety rail via a trolley and harness system. Check out more photos below.